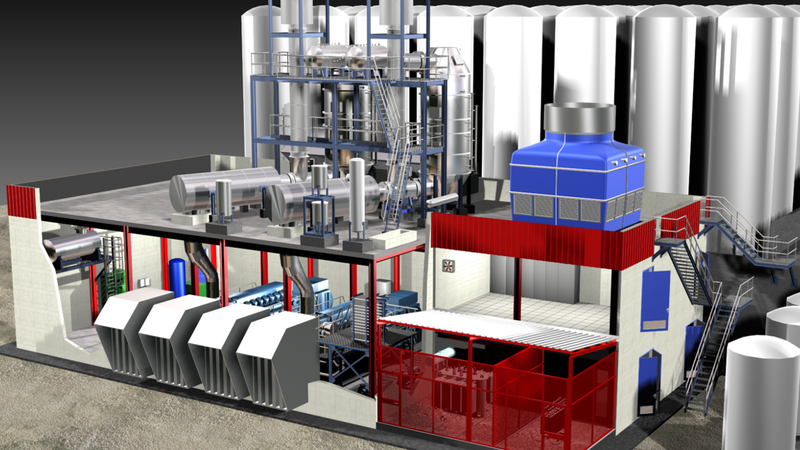 The cogeneration plant consists of a simple cycle with three gas engines, with capacity to produce about 5.8 MW of electricity, 6.77MWt of hot water at 90-92ºC: 3.13 MWt by heat recovery from the engine high temperature cooling circuits and 3.64 MWt from heat recovery hot water generators using the engines’ exhaust gases. 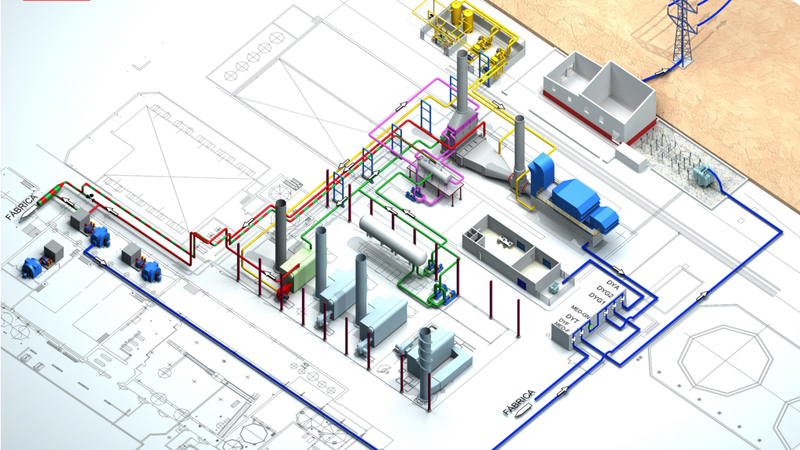 It has three identical and independent lines with a gas engine and a hot water generator, so that the plant is highly flexible and modular. Client: ELYO SANT JOAN A.I.E.